Our world comprises of humanitarians that want to make a change and the support for social causes continue to increase. Over 60% of the world’s population want their occupation to make an impact on the world. With that general outlook on implementing social good, the idea of starting a Social Enterprise may seem very attractive. What better way to implement both business and social goals under an organisation that promotes social change through the use of market mechanisms. CREATIVITY: It takes a lot of creativity to think about a particular social problem and how your social enterprise will address it. You need creativity to think about what portion of that social issue your business is aiming to tackle. You need to be able to provide an innovative solution for that social problem and translate that through your business. You not only need to be passionate about a particular idea, but also committed to that idea. Sanjit “Bunker” Roy decided to find a way to improve the social-economic inequities in India and founded the Barefoot College where more than 3 million people have gained skills in areas such as solar engineering, teaching, midwifery, architecture and medicine. The establishment of the Barefoot College was a creative way of addressing the drought prone areas in India. Its programmes focused on siting water pumps near villages and training the local population to maintain them without dependence on outside mechanics as well as providing training as paramedics for local medical treatment. 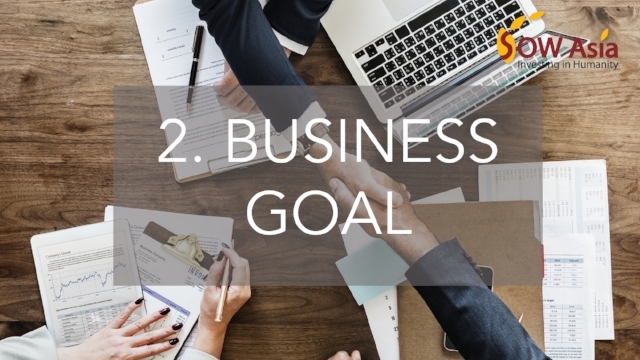 BUSINESS GOAL: You need to have a business goal to work towards when wanting to start your own social enterprise. An innovative idea cannot stand alone. How will you fund this idea? Where will the money come from? How will you fund-raise? Blake Mycoskie, founder of TOMS shoes, witnessed the ‘intense pockets of poverty’ and for the first time saw ‘the real effects of being shoeless: the blisters, the sores and the infections’. The shoe brand TOMS follows a ‘one for one’ business model, where a pair of shoes will be donated or every pair bought. They have since donated over 10 million pairs of shoes in 40 countries. Blake Mycoskie had sold his online driver education company for $500,000 to finance TOMS shoes. 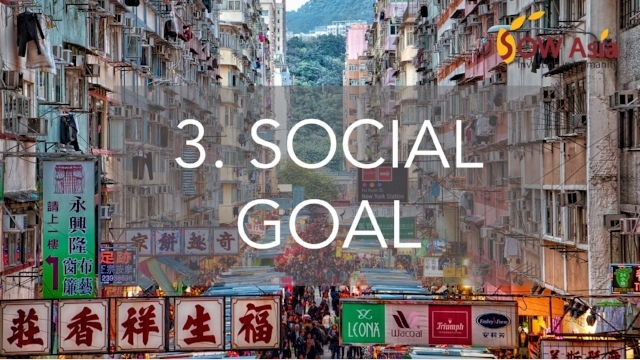 SOCIAL GOAL: In order for your business goal to succeed, you need to implement a social goal. You need to be able to quantify your success through analysing your social impact. How will you scale your social impact? How does your business product/service serve the social problem you are trying to address? And to what extent will you consider your business to be of success? Blake Mycoskie’s social goal was to provide a new pair of shoes free of charge to the youth of Argentina and other developing nations for every pair sold. TOMS has now expanded to eyewear where part of the profit is used to save or restore eyesight for people in developing countries. ORIGINALITY: There is no point starting a social enterprise which mimics the work of another company. You need to be innovative in thinking about different ways to address social issues and new ways to overcome these social challenges. It’s not enough to copy one idea and make it ‘better’, but rather divert from existing solutions and think outside the box. Muhammad Yunus founded the Grameen Bank which makes small loans to entrepreneurs too financially inept to qualify for traditional bank loans. Muhammad and Grameen Bank was later awarded for the Nobel Peace prize ‘for their efforts through microcredit to create economic and social development from below’. He was also rated number 2 in Foreign Policy magazine’s list of the ‘Top 100 Global Thinkers’. Here, Muhammad Yunus found an original and innovative way to provide banking services to the rural poor. AN OPEN-MIND: No successful business succeeds without failures along the way. You need to have the right mindset when starting your own social enterprise and be prepared to overcome any challenges or criticisms which you may face along the way. You must be adaptable, flexible and open-minded to changes which may help you achieve your business and social goals. Make sure you keep your eyes peeled for further information about SOW Asia’s next cohorts for the chance to kick start your social start-up!